This entry was posted on March 11, 2014 by Jessica Anderson. If you can't go to Ireland, celebrating St. Patrick's Day is the next best thing! Monday is St. Patrick’s Day, the luckiest day of the year! 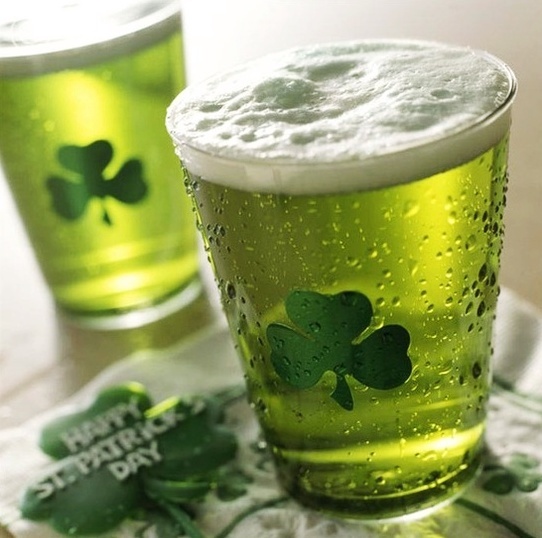 Get your Irish on with games and laughter with friends, family or co-workers! Start things up with your favorite Irish songs. While I was in college, my favorite hang out was an Irish pub called Kell’s. Live music was a staple at Kells with lively sing-along drinking songs. My favorites are The Rattlin’ Bog and Molly Malone (Cockles & Mussels) . Check out the renditions above to get in a Celtic mood! You just gotta smile and tap a toe while listening to these sappy songs! Host a "wear green to work"contest at the office or get the green beer flowing with an after hours game of beer pong! Recognize your friends for being lucky to know you with these awesome awards! Pot of Gold Award – It's at the end of the rainbow, guarded by a greedy Leprechaun! Lucky Horseshoe – Forget 4-leaf clovers, horseshoes are the best symbols for good luck! Flora Leaf Block - Perfect for spring! Lovely crystal green leaves decorate the side of this clear optical crystal award. The traditional Irish-inspired meal for St. Patrick’s Day is Corned Beef and Cabbage. Other ideas include shepherd’s pie, Irish stew, and Irish soda bread. Find great recipes to try at Allrecipes.com. 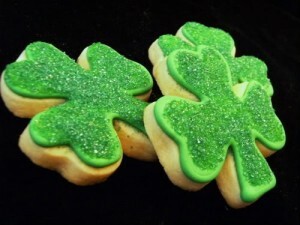 My favorite St. Patrick's Day treat is an American, kid-approved classic – green shamrock-shaped sugar cookies! Yum! Don’t forget to wear your green and enjoy St. Patrick’s Day!